There are simple ways we can use what is already growing in our own gardens besides putting up a Christmas tree. These should last a week to 10 days before the needles dry. Once removed, compost or pile in a garden corner for winter wildlife cover. 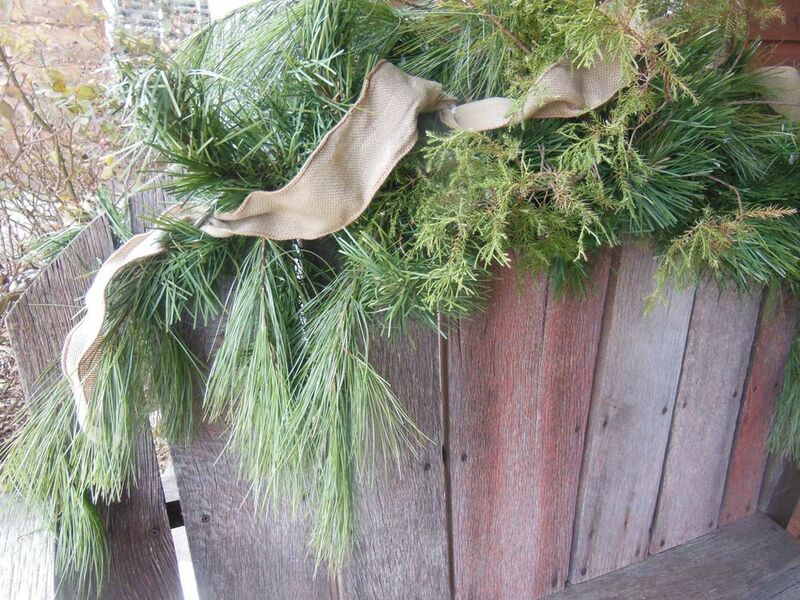 Simple, clean and elegant way to quickly give your garden benches a little hint of the holidays.